Also available ~ P90 Sling Mounts. 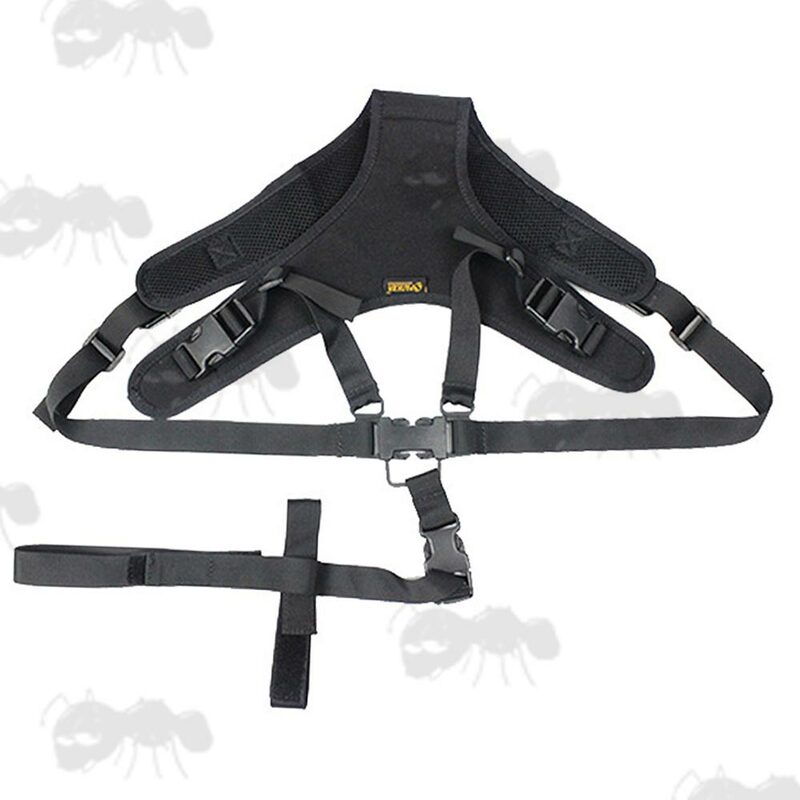 Next > P90 harness sling. 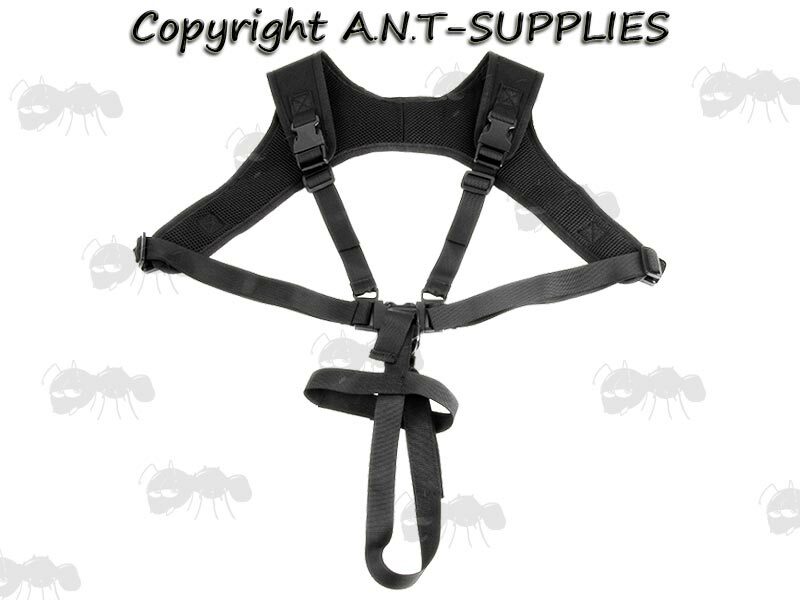 Can also be used as a two point sling. Attach the velcro fitting loop strap to the rear stock sling attachment point on your P90. 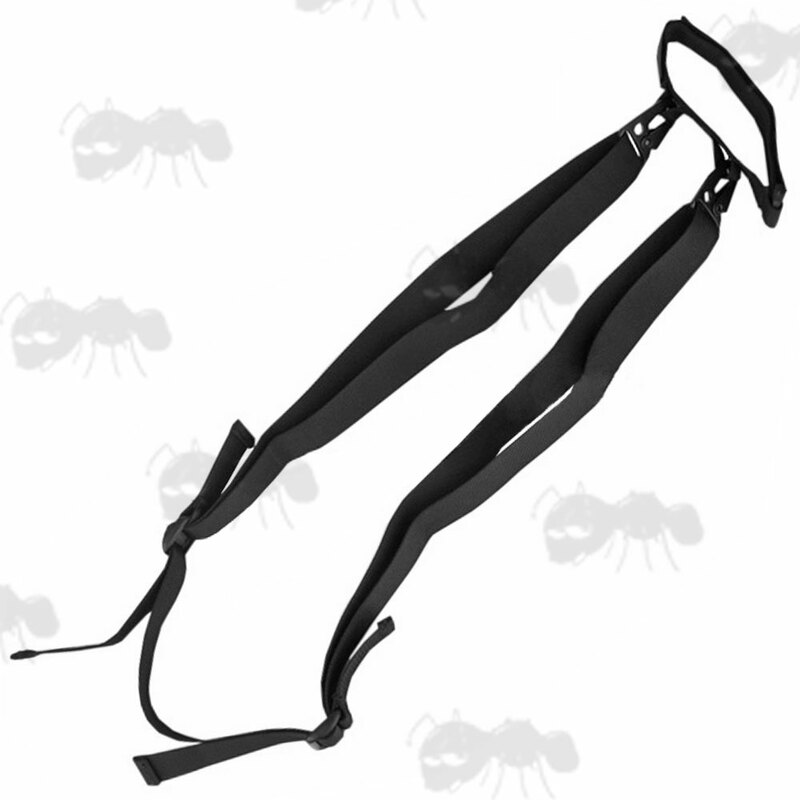 Then clip on the sling clips onto the strap loops. Finally adjust for length and your ready to go. 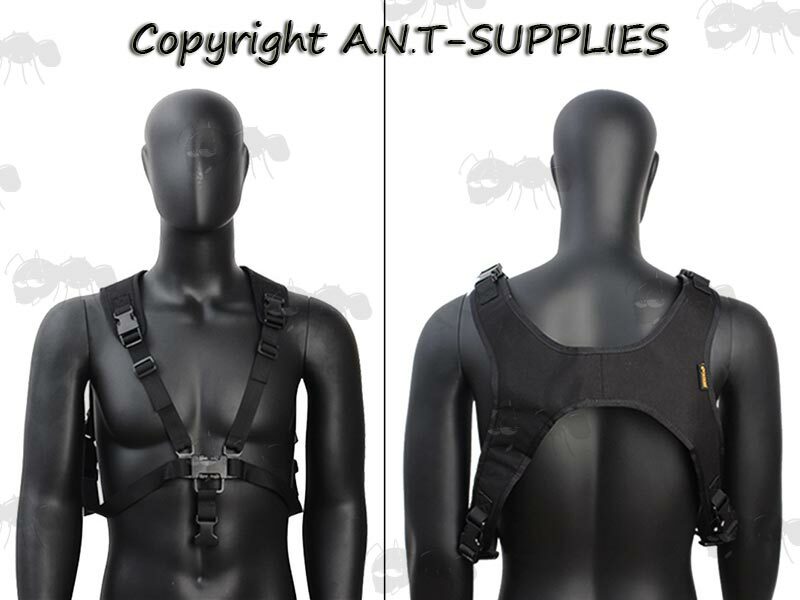 Padded shoulder strap with breathable air mesh. Shaped for maximum comfort on your shoulders. Made from 1000D heavy-weight nylon. Weighs approx ~ 240 grams. Velcro fitting loops for attaching the harness to the rear stock sling attachment point on your P90.